A seven-step journey to faith in Jesus for teens to young adults. A seven-step journey to faith in Jesus. 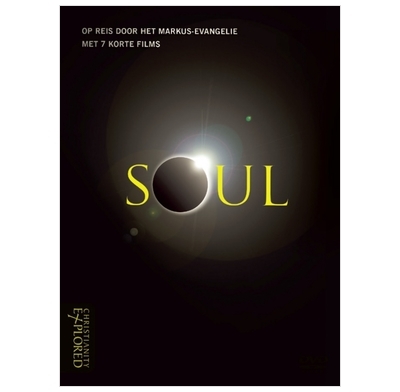 Whether you're a youth leader looking for a way to engage your group or someone looking for material for a godchild, niece or nephew, the Soul DVD is an exciting resource to explain the gospel to young people. Soul is the latest production from the Christianity Explored team. Designed to be used on its own, or as part of Soul, Christianity Explored's evangelistic course for young people, which also features Bible studies, activities and discussion material. It can also be used alongside CY course, for 11-14 year olds. The professional DVD was filmed at Shepperton Studios by an award-winning director and at a variety of locations throughout the UK. Nate Morgan-Locke, CE's youth evangelist who also works at St Bart's church in Bath, carefully and powerfully explains the gospel in a way that reaches out to everyone from teens to young adults. Please note, this DVD is available in NTSC format only. This compelling presentation of the gospel is accessible not only to English speakers but is also available to a wider audience as it comes with Spanish subtitles included. These can be used to help those from a Spanish-speaking background as they participate in courses that are run in English, or to provide the core content for Spanish speakers using Soul in groups or as a stand-alone resource. CY is a seven-stage journey through Mark’s Gospel for young people. All seven sessions are designed to bring young people to a clear understanding of the gospel with the aid of specially written talks, Bible studies, games and activities, and the optional use of the Soul DVD. CY is the youth version of the popular Christianity Explored evangelistic course. This substantially revised and enhanced second edition of the CY course is the result of considerable feedback from the thousands who have used the course worldwide since it was first produced.